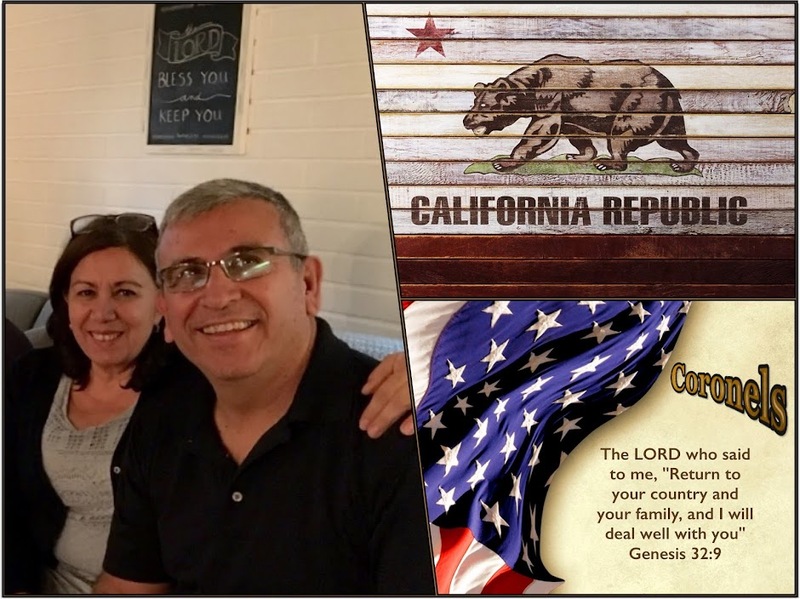 The Coronel Steps of Faith: Now I know I'm home!!! 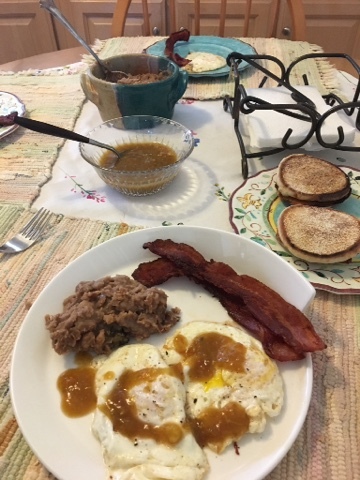 We have bacon, beans and eggs with hot chili salsa on top with some toast! 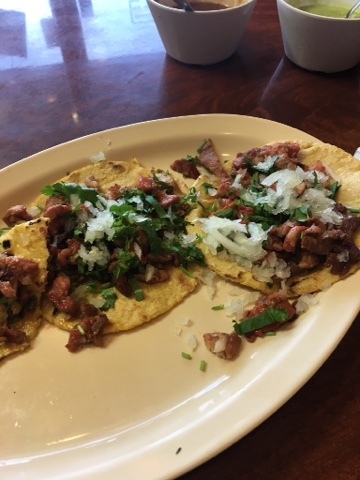 Tacos de pastor, a marinated pork meat with fresh onions and cilantro with a choice of red or green salsa!! Delicious!!! 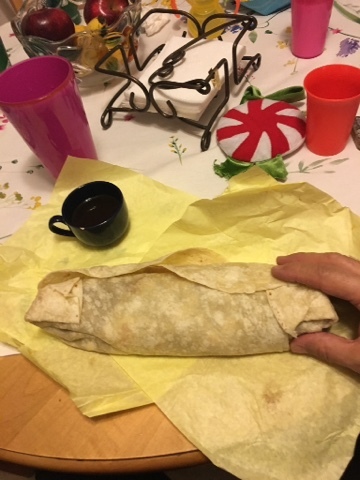 A giant burrito filled with carne-asada, beef steak chopped up with beans, Mexican style rice, cheese , large green chili and of course salsa!! This is how I know I'm home...I can taste I'm home!! Man, writing this has made my mouth water!